Children thrive at Baby Gator Lake Alice. 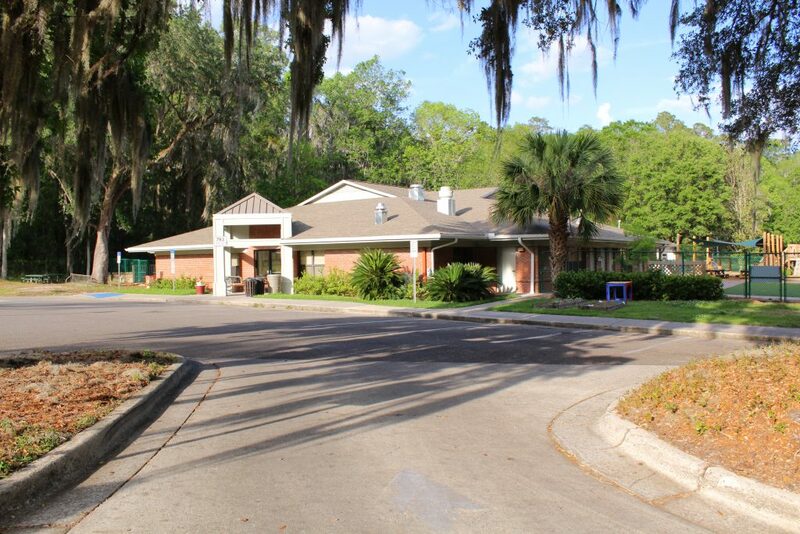 Our NAEYC (National Association of Educators of Young Children) accredited center serves infants age 6 weeks to children 5 years old whose parents are either University of Florida (UF) faculty, staff or students. We offer VPK (Voluntary Pre-kindergarten) and are a school readiness center. We are located on the UF campus across the street from beautiful Lake Alice on the corner of Village Drive and Museum Road. Each child at Baby Gator Lake Alice is served a nutritious breakfast, lunch and snack every day through the USDA Child Care Food Program (CCFP). Each year, the Lake Alice center works with a variety of volunteers, practicum, interns, and researchers from UF, Santa Fe College, and the surrounding community.